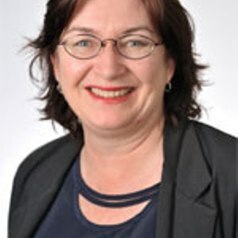 Catherine Brown is a Lecturer with Queensland University of Technology, specialising in insolvency, corporate and taxation law. She holds a Master of Laws (QUT) as well as honours degrees in both Law and Accounting (SCU). Catherine has had extensive experience with the Queensland and NSW Government sectors as an accountant, auditor and business manager. She has also practiced in the area of taxation law. Her current research interests are in insolvency, corporate and taxation law. Catherine’s doctoral thesis is specifically examining the intersection of corporate and personal insolvency, and taxation law. Catherine’s scholarship in learning and teaching has focused on blended learning, life-long learning and capstone experiences. She was previously a member of an OLT Priority Projects Program grant project team responsible for the articulation of final year curriculum design principles and development of a model final year (capstone) program. She has also published on issues relevant to the first and final year experience, reflective practice and blended delivery.